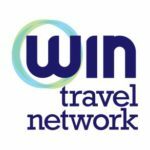 GlobalStar Travel Management today announced the appointment of the WIN Hotel Programme as its preferred consortium, secondary to its own GlobalStar hotel collection. The new agreement becomes effective on the 1st of January 2018, when all GlobalStar Partners will have access to WIN’s hotel inventory of over 30,000 properties worldwide, as well as the unique Lifestyle Collection and MICE inventory. The WIN content will be available for the GlobalStar Partner network via all major GDSs and in addition will offer an aggregator booking portal which will power GlobalStar’s HotelStar solution. A unique feature of this online booking portal, WIN’s Hotel Hub Gateway, is that it includes access to up to 40 Bed Banks/OTAs. WIN is currently in its final stage of developing an app to better engage with frontline consultants, making learning fun and interactive as well as rewarding. “Engagement with frontline consultants is of key importance to make the programme a success” according to Mr. Jason Harris, Executive Director Supplier Relations at GlobalStar. WIN has developed its own bespoke data dashboard, utilising the industry-leading Tableau program, which will enable GlobalStar to drill down and produce individual reports for its members. A key benefit to the partnership will be the enhancement of data and the ability to further analyse the major growth opportunities. In return this will drive greater compliance and rate adoption for preferred hotel partners. The combined strength of the GlobalStar and WIN partnership will look to deliver in excess of 5 million room nights booked through the GDS annually, into 2018 and beyond.